IN IP RELATED MATTERS FROM PROSECUTION TO LITIGATION. WORKPLACE AND A WARM, FRIENDLY OFFICE THAT HOUSE HAPPY TALENTS. 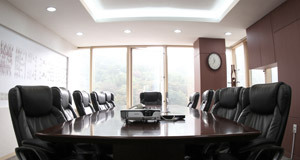 The spectacular urban scenery is a seasonal delight of the Seoul Office. The beautiful red autumn foliage of Umyeon Mountain and the snow-covered marble walls of Seoul Arts Center are true perks of working at Kasan. The best part is, of course, that it is for free. Hard work deserves good rest. Each office offers a unique space where employees relax or get together to socialize. In spring and autumn, happy hour beer parties take place in the outdoor terrace of annex office 1. 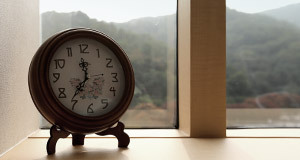 Flexible working hours are necessary to maintain balance between life and work. Kasan adopts 8 to 10 AM FLEX TIME office report hours, substitute working hours, and half-holidays to support a flexible working environment. Many take advantage of this system to arrange moving days and family hospital trips and to take care of various personal events. A month-long vacation given every three years of full employment is an opportunity to take a break, look back on your accomplishments and take the next big step. It is also the perfect chance to go on long vacations to Europe, the US and other exciting places of the world. Horizontal and candid communication is important not only for higher productivity but to make sure our employees are satisfied. Our diverse efforts to lower the communication barrier include regular BSBP (BEST SERVICE, BEST PLACE) office workshops and anonymous employee proposals. Recently, one anonymous employee asked that "the company should offer fitness club memberships because we gained weight snacking at the office cafe." We're still working on that. We believe that the expertise of each talent adds up to the expertise of Kasan as a firm. Hosting various in-office seminars and encouraging our employees to participate in seminars outside of the office, we fully support the growth and training of our talents. Our employees take turns presenting on various subjects in in-office seminars, in which presenters often suffer answering razor-sharp questions and constructive criticism from their colleagues and attendees sit back and enjoy the brutal spectacle. Nevertheless, it is clearly an opportunity for learning and growth for all participants. In addition to our regular office picnics, we encourage employees to participate in small group activities within or between teams. Gatherings can be anywhere from simple lunch dates to overnight trips, but they all help communication, bonding and cooperation between colleagues in and out of teams. 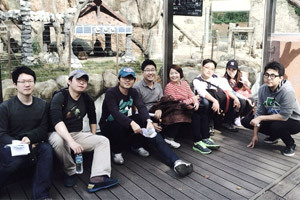 To share some success stories, our last company excursion program at Seoul National Park was an unauthorized appropriation of the TV show 'Running Man,' and many people threw themselves in the pool at the Resort at Jebu Island regardless of their wills. Kasan supports company societies including the arts and performance club, bowling club and baseball club to encourage socializing between employees. The baseball club is so far the most active society, for which free uniforms were provided. We sincerely hope that they stop testing our patience and start winning some games like they win cases. Go team Kasan! Company clubs and societies have been around for several years. We hope to see and support some more clubs thrive in the future. 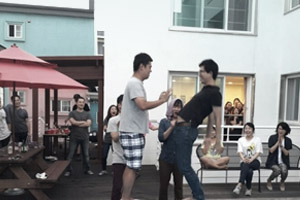 In May 2015, Kasan hosted an alumni homecoming party in celebration of its 15th anniversary. We hope our future annual homecoming parties become a valuable opportunity for Kasan alumni and current Kasaners to connect.